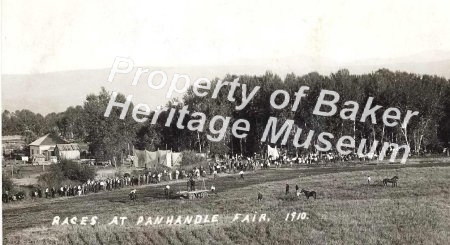 Race track at Panhandle Fair, 1910. Postcard to Mr. Fred Gover. Donated by Elizabeth Shaver, La Grande. 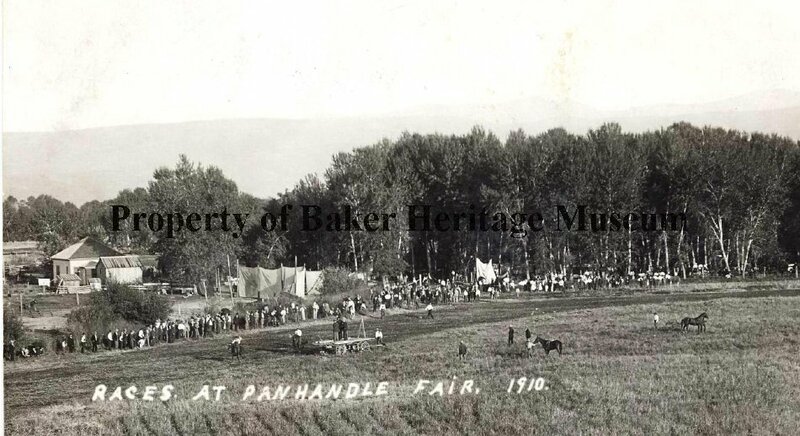 Postmarked Richland, Oregon.